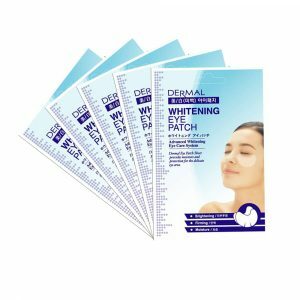 View cart “DERMAL Whitening Eye Patch (Pack of 5)” has been added to your cart. 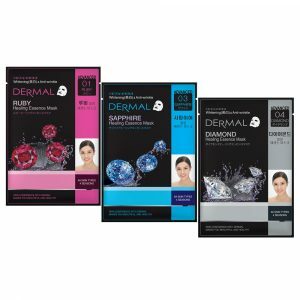 Dermal Advanced Jewel Healing Essence Mask is pack of Ruby, Sapphire, Diamond Masks contains Gem stones powder with peptides & collagen which increase the healing power treats damage skin, reduces dark spots & scars gives a flawless appearance with ultimate fairness. Deeply hydrates the skin to shine. 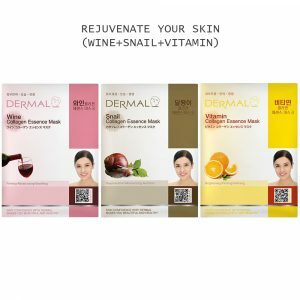 Best offer Get the 6 Masks Set at 4 masks price ! 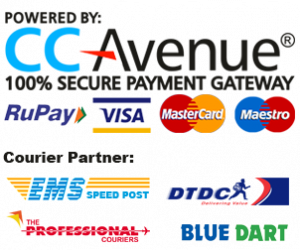 Get Acne & Scar free Skin in a great deal ! 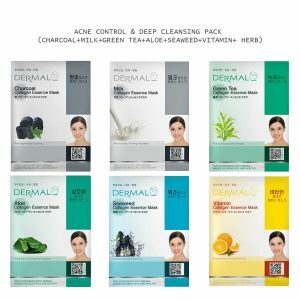 Dermal Korea Acne Control & Deep Cleansing Face Mask Set contains 6 varieties of Dermal Collagen Essence Face Mask Charcoal Milk Green Tea Aloe Seaweed Vitamin which are having Cleansing & Exfoliating properties & Controls excess sebum production. All these mask varieties are powerful anti-oxidant & enriched with Vitamin E, C, & B12, amino acids & skin essential nutrients. Keep skin Clean, Moist & Bright. Reduce acne, sun damage & hyperpigmentation. Control sebum production & keep skin clean & clear. Deeply moisturize the skin to glow whole day. Best offer Get the 6 Masks Pack at 4 masks price ! Now Advance Skin Lightening in Best Deal ! 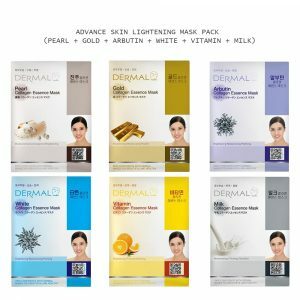 Dermal Korea Advance Skin lightening Mask Set contains six varieties of Dermal Collagen Essence Mask includes Pearl Gold Arbutin White Vitamin Milk all these varieties are most potent for skin lightening being a powerful anti-oxidant & enriched with Vitamin E, C, & B12, amino acids & skin essential nutrients, reduces ages spots, freckles, melasma & makes skin fair day by day. 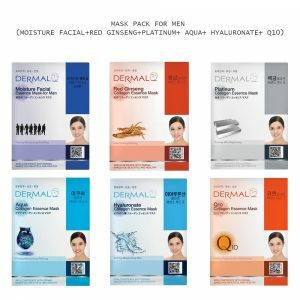 Best offer Get the 6 Masks Set at 4 masks price ! Now Antiageing Solution in Best Deal ! 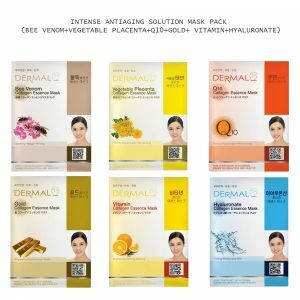 Dermal Korea Intense Antiageing Solution Face Mask is set of 6 varieties of Dermal Collagen Essence Mask which are Bee Venom, Vegetable Placenta, Co-Enzyme Q10, Gold, Hyaluronate, Vitamin. 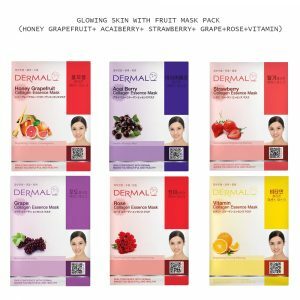 All these mask varieties are having powerful anti-oxidant properties enriched with Hydrolyzed Collagen, Vitamin E, C, & B12, amino acids & skin essential nutrients. It deeply nourishes the skin reducing fine lines wrinkles, provide intense hydration, regenerate the cells. Reduce fine lines, wrinkles tighten sagging skin. Lightens age spots, freckles, pigmentation. Useful for healthy younger looking skin. Variety: Bee Venom, vegetable Placenta, Co-Enzyme Q10, Gold, Vitamin, Hyaluronate. 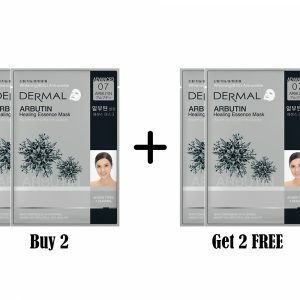 3 Mask in One Set in the best offer Buy 2 Get 1 Free! Now Get Party Glow in 15 mins ! 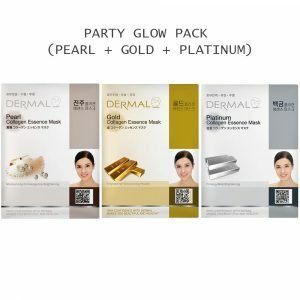 Dermal Korea Party Glow Face Mask Set contains 3 varieties of Dermal Collagen Essence Mask includes Pearl Gold Platinum these masks gives ultimate bight complexion & glow all these masks are enriched with Vitamin E, C, & B12, hydrolyzed Collagen & skin essential nutrients which rejuvenate the skin. The antioxidants present in the all these masks protect the skin from the harmful effects of the free radicals and reverse the appearance of wrinkles and dark spots lighten the skin tone keep it moist & bright. Give instant party glow.